India has launched a major show of force operation following soaring tensions with Pakistan last month due to the Feb. 27 incident wherein Indian jets conducted anti-terror operations in Pakistani airspace, resulting in a downed Indian pilot. The details of what's being described as India's largest war games — called TROPEX 2019 — which combined Navy, Air Force and Army assets were revealed this weekend only upon the exercises' completion. 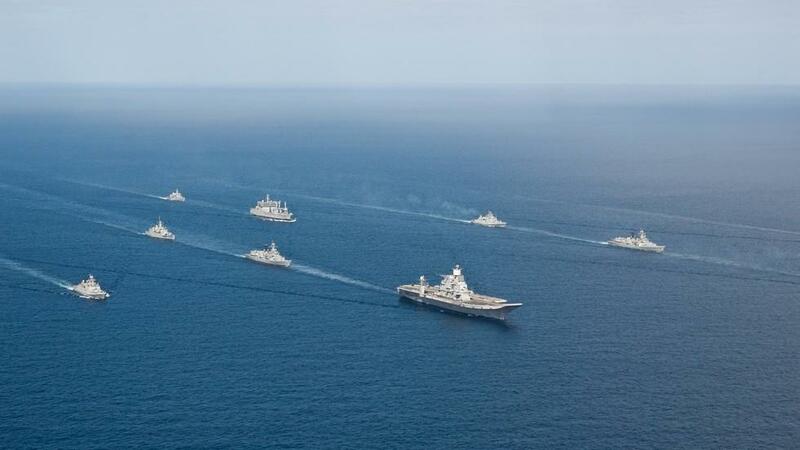 The drills involving some 60 ships and an equal number of aircraft had been slated to run from January to early March, but according to reports quickly turned into a real time operational situation following the crisis over Kashmir. 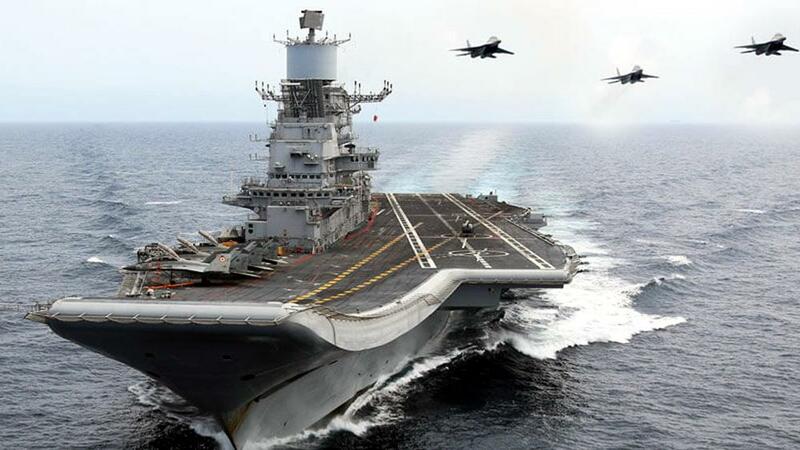 Notably, the games which had already been underway at the time of the crisis had involved the INS ‘Vikramaditya,’ a Russian-built aircraft carrier, and multiple other nuclear submarines essentially becoming "active" as the situation unfolded. Their continued operational deployment in the Arabian Sea and beyond in the Indian Ocean threatens to bring tensions further to a head between Islamabad and New Delhi following recent revelations that each side had informed the other of missile launch preparations last month, nearly stoking an all out war. The Indian Navy's overwhelming superiority in all three dimensions - surface, under the sea and in the air - forces the Pakistan Navy to remain deployed close to the Makran coast and not venture out in the open ocean after the Pulwama terror attack," said Navy spokesperson Captain D K Sharma on Sunday. In response to the Pulwama terror bombing India had launched a “non-military, pre-emptive action” against the Islamist group responsible for the killing of 40 Indian military police, Jaish-e-Muhammed, claiming that since Pakistan refused to root out terrorists on its own soil, India would take action. Previously in March Pakistan claimed to have spotted an Indian submarine operating at periscope depth close to Pakistani waters, which India had dismissed at the time as "propaganda". Indian officials have given a public "debriefing" of the TROPEX 2019 exercises on Monday presumably as part of continued war propaganda to scare off any potential Pakistani aggression. This comes after over a week ago Pakistani Prime Minister Imran Khan said the country was ready for war and its army would respond if attacked by India or “any superpower” during a speech in southeast Pakistan's Chachro town.